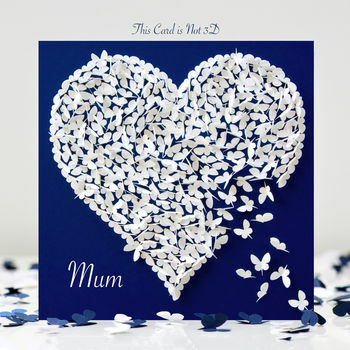 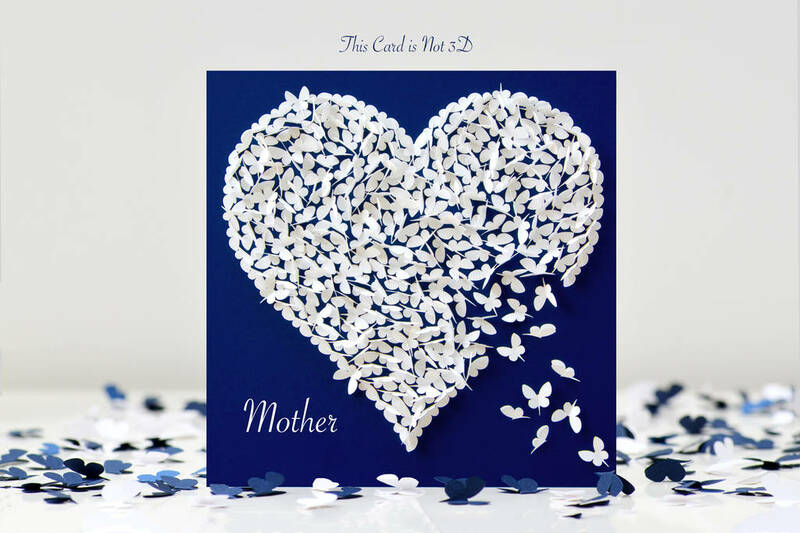 An eyecatching digitally printed (NOT 3D ) butterfly heart Mum card on a dark blue background. 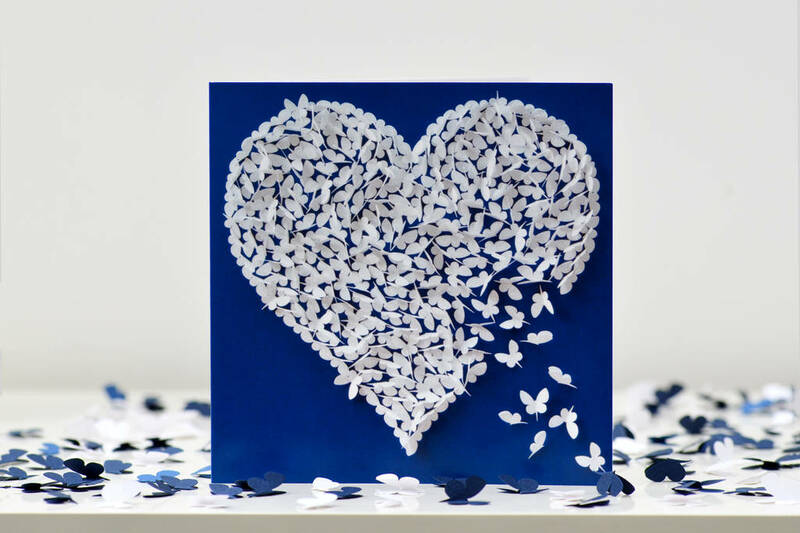 Each butterfly represents love. A Mum butterfly card that is blank inside so you can send it as a Mum birthday card, a Mum Mothers Day card or a Mum Thinking of You card. There is a meaning to the card. 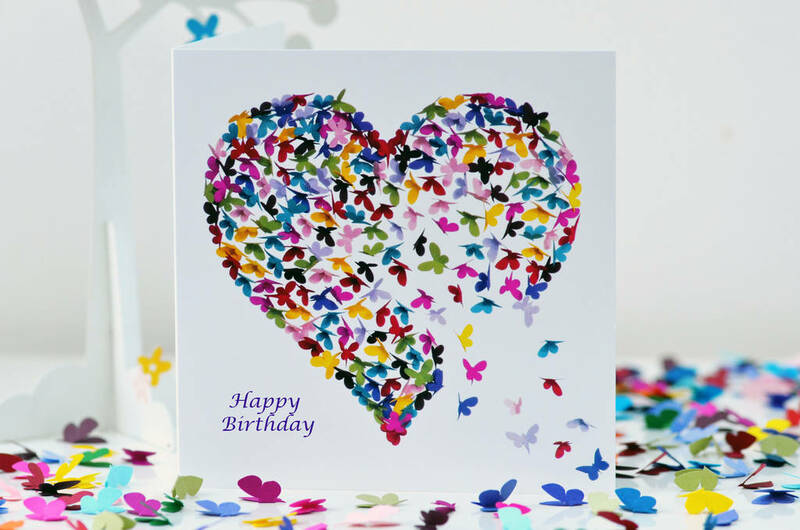 The butterflies fly into the heart to fill it with love and then flutter back out again to carry their love to others. The card is a digitally printed image of my original artwork.